I look forward to seeing what direction they go. City staffers Wednesday plan to recommend to the City Council’s Governance Committee that San Antonio move forward with a ban on single-use plastic and paper bags. The recommendation comes after vetting by the Solid Waste Management Department, which researched policies in other cities across the state and the nation. The committee, led by Mayor Julián Castro, could direct David McCary, director of the waste management department, to present his recommendations to the full council. But it’s too soon to tell what the city’s governing body might do with the proposal. 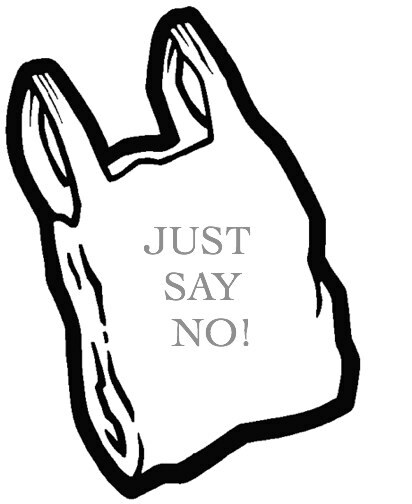 The bag-ban proposal took flight in November when Councilman Cris Medina filed a request asking that his council colleagues consider a prohibition on single-use plastic bags. During a February round-table meeting with retail business leaders, environmentalists and others, Medina directed McCary to recommend a single approach for the council to consider. Maintain the status quo with a continued focus on outreach to the 340,000 customers of the waste management department and inform them of an Aug. 1 start date for the city’s plastic-bag recycling program. See here and here for the background. As we know, the city of Dallas recently adopted a bag fee, which came on the heels of a request for an AG opinion on the legality of municipal bag laws. Assuming San Antonio takes some action – and I believe they will – then the focus may shift to Houston, since every other large city will have done something except for us. Mayor Parker has a lot on her plate, but I continue to believe this issue will come up here sooner or later.